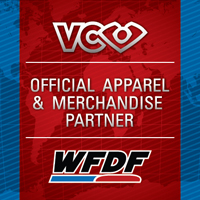 The World Flying Disc Federation (“WFDF”) is pleased that it was announced during the 2018 SportAccord convention in Bangkok (Thailand) assemblies and meetings that Flying Disc sports are eligible to be included in the programs of two prestigious Multisport Games. The GAISF Multisport Games Department has accepted Freestyle as one of eight competition sports eligible for the first edition of the World Urban Games. Further, Ultimate was added as a full program sport in the 2021 World Masters Games in Kansai (Japan), organized by the International Masters Games Association (IMGA). 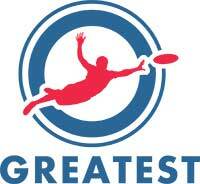 “Having Freestyle added as an eligible sport for the first edition of the World Urban Games means bringing another Flying Disc sport to a Multisport Games presence, which is a major step for the development of Freestyle internationally, opening new opportunities for our community,” stated WFDF Freestyle Committee chair Kevin “Skippy” Givens on the positive decision of GAISF. The World Urban Games could involve around 700 competitors along with 300 team officials and is designed to be staged over five days on a single, easily accessible downtown site and Festival Plaza with a contained operational footprint. Promoting the ultimate festival of urban sport in the heart of the city, the Global Association of International Sport Federations (GAISF) Multi-sport Games management team announced eight sports to be included as eligible competition sports to the first World Urban Games edition: Basketball, Cycling, Dance Sport, Gymnastics, Orienteering, Sports Climbing and Skateboarding will feature on the program next to Flying Disc Freestyle. The date and place for this inaugural games are expected to be announced later this year. “The details of the Kansai 2021 World Masters Games Ultimate event will fully meet the IMGA participation criteria. The WFDF Ultimate Committee is working closely together with the local organizers in Kansai and with Japan Flying Disc Association (JFDA), our national member association in Japan headed by Fumio Morooka, to have the best event conditions possible, allowing for as great a participation in the event as possible,” added WFDF Ultimate Committee chair Brian Gisel. The 2021 World Masters Games in Japan will feature 30 official and another 4 demonstration sports and will be held from 14 to 30 May 2021 in the Kansai region with approximately 50,000 participants expected to compete in the Games during the 17 competition days.